Maybe you just don't have the spare money available to afford a good personal trainer which will actually get you results? Well if any of that sounds like you, 1fitmummy online personal training may be exactly what you need. Just like if we were training face to face you will get a fully supportive personal training experience, laid out for you. We design a customised exercise plan for you to follow which is all about you. Our plans are beautifully designed to be followed at the gym, or at home and we will take into account any equipment you do or don't have. This means you don't have to try and figure out what to do, to be able to change your body and you don't have to worry about whether or not you're doing the right thing. We take away all the guess work and provide you with videos, personal training plans and done-for-you exercise sessions, meaning all you have to do is open your app. It's well established that we don't diet. We teach our clients the best way to eat, to get results, without giving up their favourite foods or worrying about what to do if they go out or have a spontaneous meal with friends. You don't have to concern yourself with trying to figure out what to eat or worrying about 'falling off' the diet or plan, when you have a weekend away or a celebration to attend. The mobile personal trainer app ensures you have full support and access toy our coach plus access to your training plan and exercise videos, wherever you are in the world. UK, USA, CANADA, FRANCE, GERMANY or anywhere else in the world. If you have access to your app, then you can train. This is perfect for you, no matter your location, you can be safe in the knowledge that wherever you are,you can continue to train and reach your goals. I’m not a mum but when I spoke with Anton I felt at ease. He was so genuine and he made me feel like I could really trust him and that I’d be supported, and I absolutely loved it. My coach created a training program for me that targeted my specific needs both from an injury management standpoint as well as from a fitness goal standpoint and I absolutely loved it. 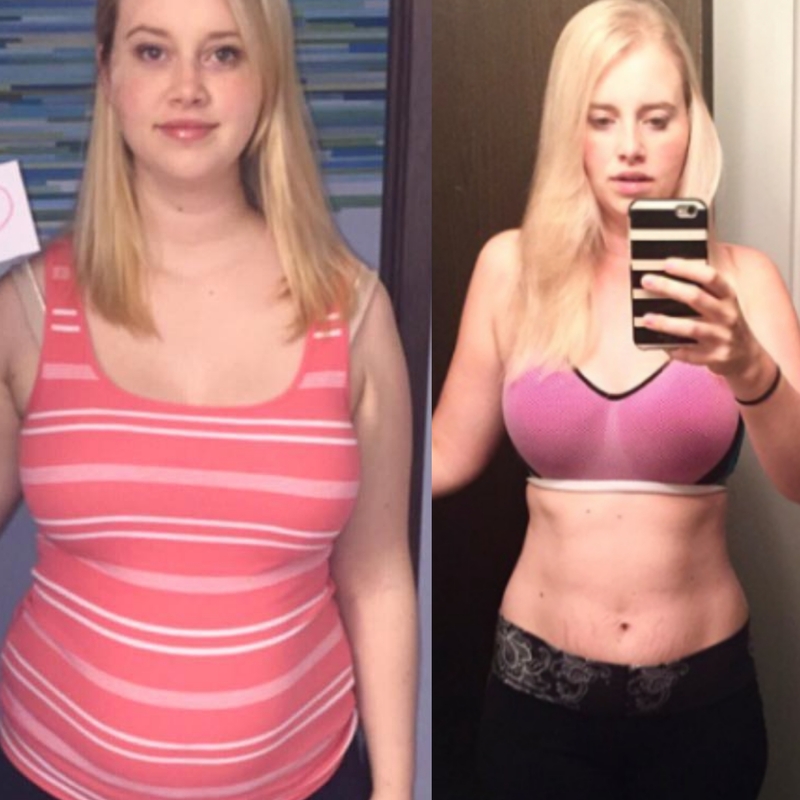 During my time, working with 1fitmummy, I lost over 15 lbs and countless inches. My whole body firmed up and I was finally able to fit back into my pre-kid clothes even though I still weighed 10 lbs more than I did before children. This just goes to show you that I had gained muscle despite the fact that I was the same size as I was pre-pregnancy. I was struggling to find a training programme that would help me to lose weight. I’d tried weight watchers in the past, and lost weight, but when I stopped, I put it all back on again. 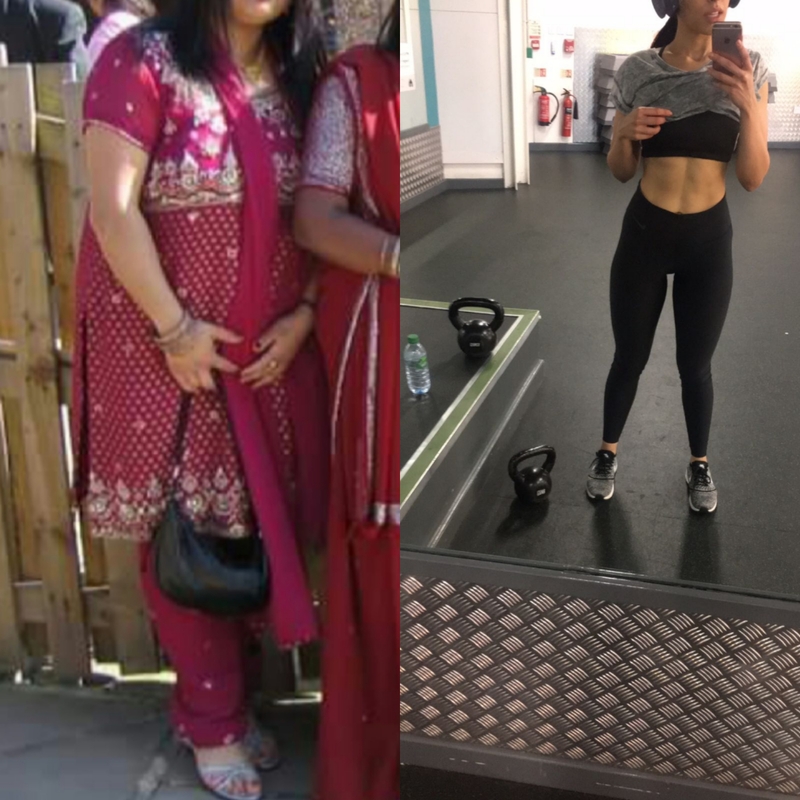 I wanted something that would help me to lose weight and keep it off, so I started working with 1fitmummy as an online client. It was really good, the sessions were fun and achievable and Anton (my coach) was always there, just a message away, if I ever needed anything. The personal training app also made it so easy, because literally, everything I needed was in my hand. 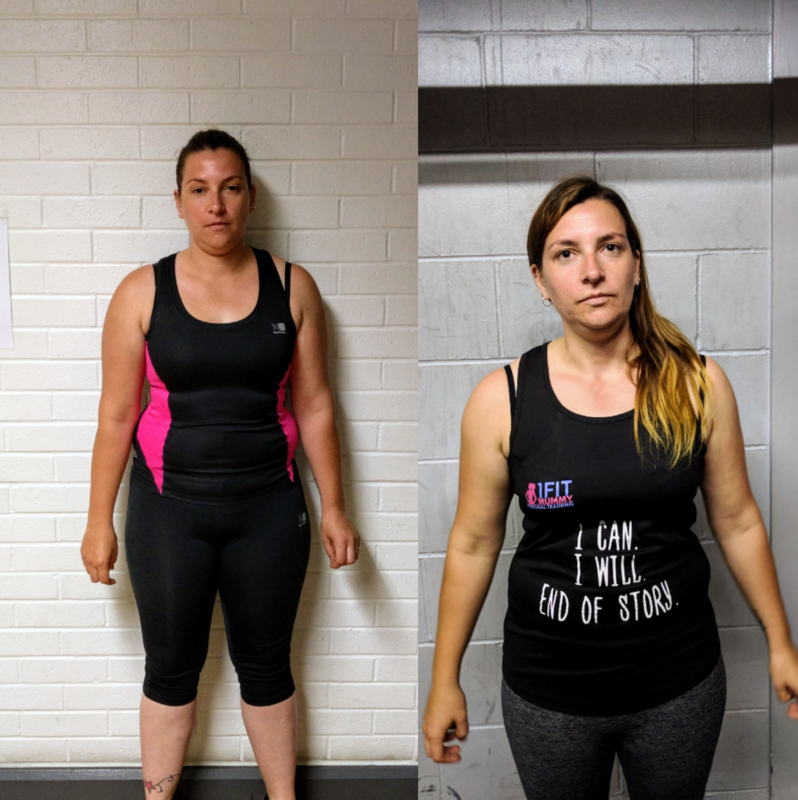 Overall I lost around 14lbs in fat, and loads of inches all over my body, I also increased my strength and general fitness and I felt amazing. I would absolutely recommend working with 1fitmummy as an online client. We don't just give you a plan and leave you to it, we are with you, every step of the way and we do all we can to make sure you succeed. Having a support network, of women just like you, is probably the most important piece of the 1fitmummy jigsaw. With our members group you will have constant support and encouragement as you are able to interact with women who are going through the exact same thing as you. Women who are sharing your highs, lows and concerns. You will be able to interact with other members of the 1fitmummy team and you will get amazing support yo keep you motivated and on track. The last thing we want, is for you to feel unsure of what's happening or to feel like something isn't right. That's why we give you so much access to our coaches whilst also reviewing your progress every week, giving us enough time to adjust if we need to, or simply touch base, and check that everything is still going great. Whether your goal is to lose 10lbs or tone up, I am here for you. I treat every member of the 1fitmummy team with respect and care and I am happy to say that I can call many of my clients, friends. 1fitmummy members will get 24/7 access to their personal coach and will also have regular check ins. I am here for you every step of the way to ensure that you are cared for and supported in your journey to changing your body. Our goal really is, to make sure you succeed. So throughout every aspect, we will also make sure you know how to do something and what the best way is, so that in the long term, you can be self sufficient and continue to change and shape your body, without ever having to worry about relapsing. If you want to achieve a personal goal, maybe lose weight, tone up or just feel better. Then Online coaching is perfect for you, as we will give you everything you need, to ensure you actually achieve your goals. It's also at a fraction of the cost of Face-to-Face personal training, giving you so many of the same benefits, but for a much lower cost. The only question left to ask yourself is do you want to change? If the answer is yes, and you want the support and benefits of working with someone who has your best interests at heart.